Hope you all have had a good start to 2016! 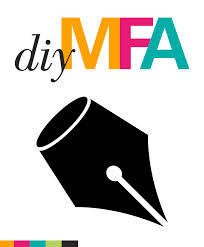 I’m back from my blogging “hiatus” today, and with two new articles at DIY MFA to boot. I’ve also got a new Theme: A Story’s Soul article that went live today. This one is a case study on communication as a literary theme. It may sound like a weird choice of topic, but once you read the examples you’ll see how a story can offer insights on the importance of communications in our character’s lives as well as our own. I was told last year at Writer’s Digest Conference that it’s OK to pitch to agents in person (i.e., at pitch slams) if you think you’re about 6 to 12 months away from having a complete manuscript. (Obviously when you pitch online, it’s a different story; you need to be much closer or DONE period with the manuscript.) I don’t know whether that timeline is acceptable / correct. If it isn’t, I’ll have to put off attending the Pitch Slam until 2017… But if it is acceptable, then the pitching would start with WDC in August and then as relevant pitching contests happen (and as my schedule allows). At the very least, I have a practice pitch I can continue honing regardless. That counts for something… right? A brilliant resolution:). And I can heartily recommend the Twitter pitch parties – I’ve learnt so much about honing my pitches and it is also fascinating seeing what else is out there… Best of luck! The answer is no – I haven’t heard there’s a different timeframe when pitching in person. I’m guessing if you have a chat to someone and they ask you to send them something when it’s ready, they may be prepared to wait. But I haven’t personally had that conversation… Sorry I can’t be more helpful. Looking forward to reading your end-of-year report about your 2015 reading experience. I’m always VERY interested in other people’s reading, being the nosey sort – (sorry pressed the SEND button by mistake!). No problem! 😉 I don’t know if you’ve read my #1 pick for new / 2015 books (I did separate lists for new books and non-2015 books), but I think you’ll be pleased with who wrote it.